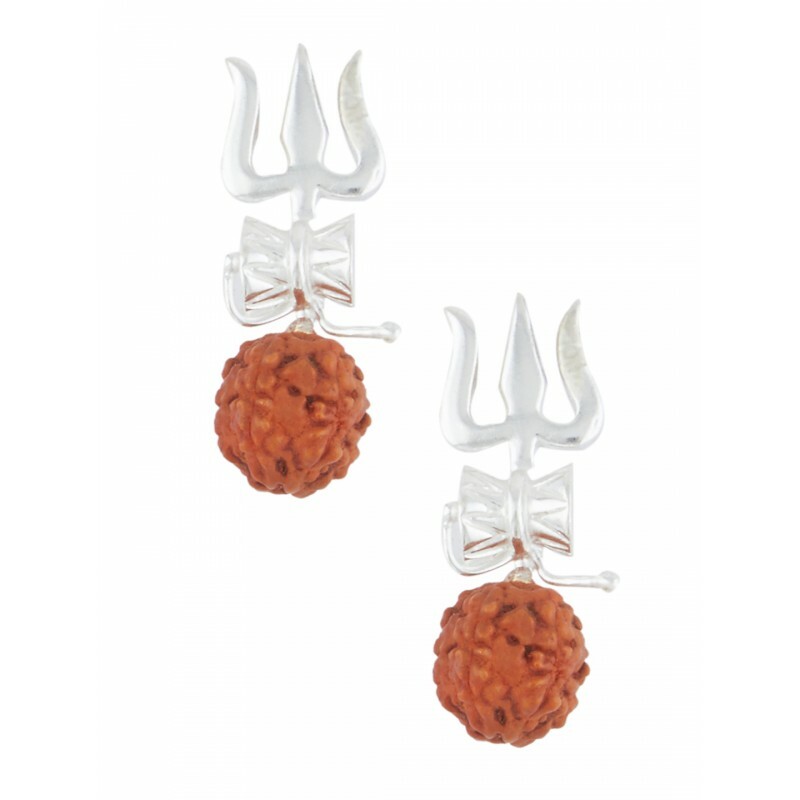 Beautifully designed around a Trishul and Damroo with a rudraksha suspended - these will surely capture attention !!! Har Har Mahadev !! !Om Namah Shivaay !!!! This earrings are made with pure 92.5 Sterling Silver which is the highest proportion of silver that can be used to make jewellery.